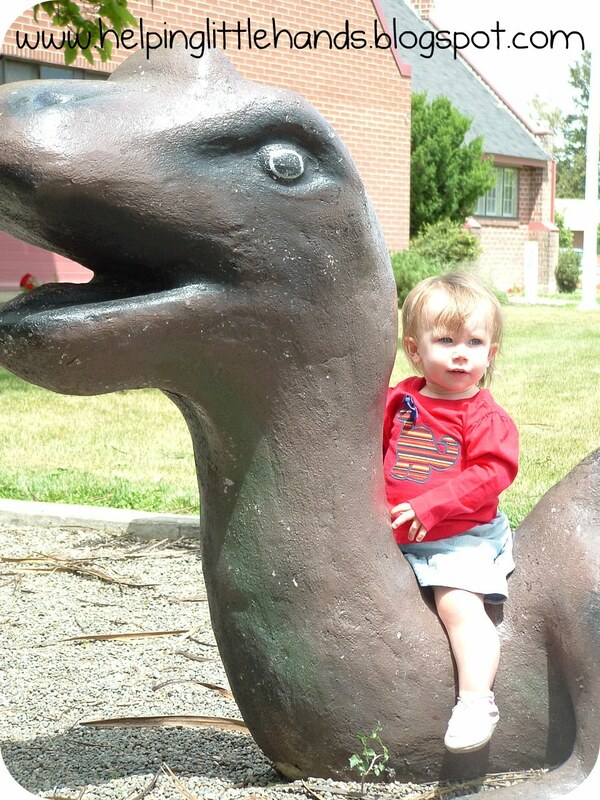 Dinos aren't just for boys, especially in a town like ours where over two dozen dinosaurs roam the parks! ...And I had to add a bow. Just to make sure the dinosaur looked girly enough. To make the bow, I tied it the way I wanted it. Then cut the ends and melted them just a bit with a candle. Then I used a needle and thread on the back to stitch through the knot part enough that the bow can't be untied. 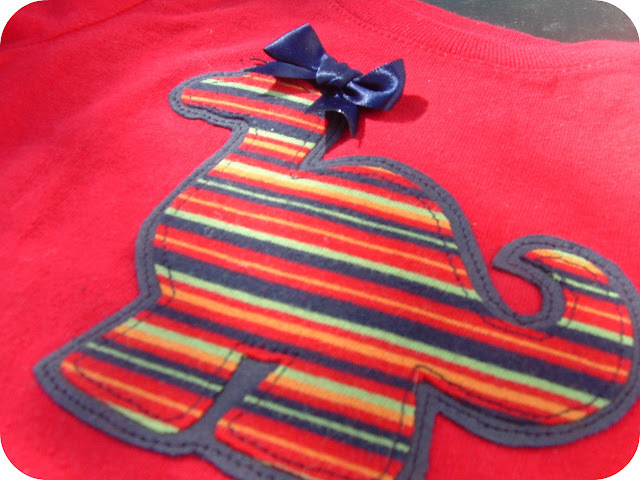 Then I sewed the bow to the shirt by hand after I'd finished the applique. Now Firecracker wants one so all three kids can match. I'll be looking for a red shirt on my next thrift store run. You want to make your own? 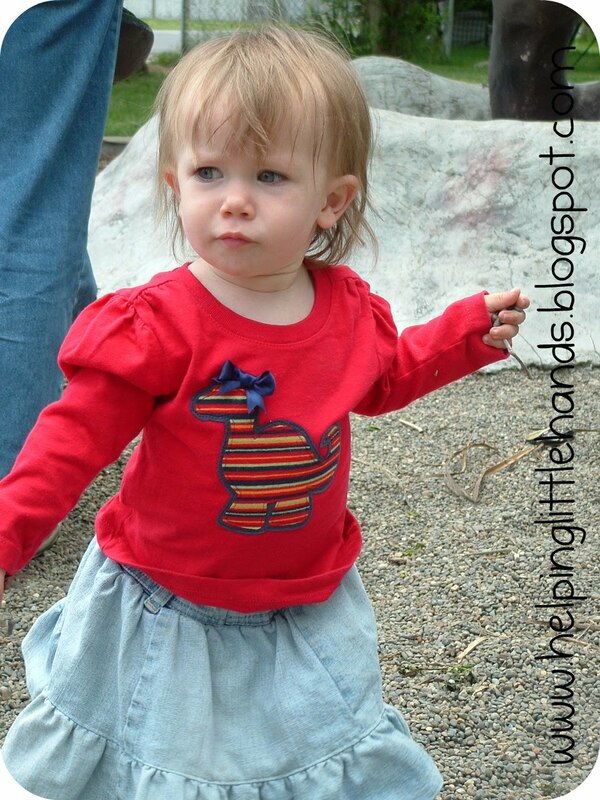 Click here for the applique tutorial and click here for the printable pattern. I opted not to do a bow-making tutorial because I'm not very good at it. You'll be just as good at figuring it out yourself as I was. And if you're not up to making one or just love this fabric, I've got two available in my shop right now (and I'll send the ribbon free for you to make the matching bow if you're making it for a girl.)! While I was making one, I decided to make a couple. 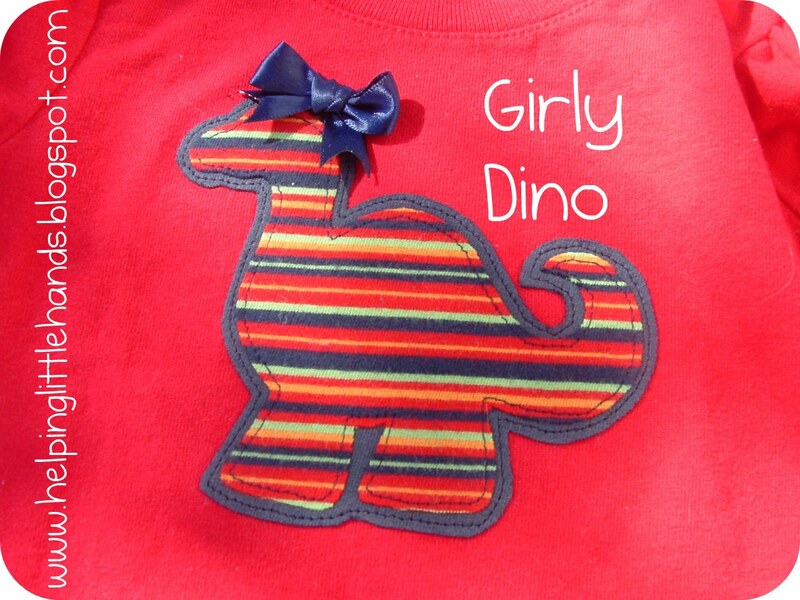 You will need to supply the T-shirt and sew the applique onto the shirt. My 5 year old girl LOVES dinosaurs. Did you make the applique any smaller since Sweet Pea is a smaller person than Boy? It would be fun to see the two shirts (on kids) together. Aww,I love the bow! And I love dinosaurs! =) I'll be linking. Thanks again for the sweet applique!! !